Home » MICMC: Where are they now? MICMC: Where are they now? Cellist Josie Vains adds another string to her bow: blogging about a competition she knows well. Well it’s a wrap, and the 2018 Melbourne International chamber Music competition has ended with a grand final concert and the announcement of the winners. Josie’s blogs have given us a sense of being part of part of this exciting event .. and it’s not over yet! Before she goes back to her busy life as a professional musician and more, Josie has answered our questions about previous winners in her final blog: Where are they now? The answers may surprise you, much as they will please the organizers of the competition, Musica Viva Australia. (We will leave earlier posts and information in order gerehere so you can have a very enjoyable binge read about this year’s MICMC and look forward to the next one in 2022). My thanks to Josie for her sterling work and to MVA for, as always, seeking to involve Classic Melbourne in this important event for our city and musicians everywhere. Josie’s blog 4: MICMC 2018 Where are they now? After an extremely enjoyable week of concert-going at the 8th Melbourne International Chamber Music Competition I’m feeling nostalgic. Each competition throws us some favourites, and it’s no surprise to Melbourne audiences that their musical darlings might not walk away with the Grand Prize. Let’s take a look at some past winners, it’s a remarkable list. Grand Prize winners, the Danish Paizo Quartet are also no longer performing together. Australia’s Tankstream Quartet (3rd prize) changed members once or twice, evolving into the Australian String Quartet for a few years, before choosing other musical career paths. Musica Viva tapped into the MICMC audience zeitgeist in 2011, inviting the 2nd placed Kelemen Quartet for their touring prize ahead of the Swiss / German Amaryllis Quartet. Both ensembles are still together but not so busy as 3 years ago. It seems the Amaryllis have a new violist and continue with producing CDs, although not so many engagements. A similar story with the Kelemen – their charismatic 1st violinist Barnabas Kelemen is now in the top rung of soloists and a Professor in Budapest and Cologne. He recently stepped in for Maxim Vengerov as soloist in the Brahms Violin Concerto with the Queensland Orchestra. Let’s hope he visits Melbourne again soon (nudge, nudge, MSO). Once again there was a split between the top two string quartets as the 2nd place getters and audience darlings the Giocoso Quartet received the Musica Viva touring prize. In fact they’ve just completed a very successful Australian tour with mandolinist Avi Avital. As good humans they are involved in the Yehudi Menuhin Live-Music-Now Foundation which brings music to the elderly and disabled. Grand Prize winners the Noga Quartet are still together with concerts mostly within Europe. They’re based in Berlin where their 1st violinist is a member of the Berlin Philharmonic no less. The Melbourne International Chamber Music Competition is upon us, back for the 8th iteration of one of the world’s richest and most loved chamber music competitions. Past winners, on the whole, have gone on to stellar careers. These include the Gould Trio (1991), Eggner Trio (2003) and Giocoso Quartet (2015) who have recently toured for Musica Viva. The current crop would no doubt see this competition as an attractive springboard to an international career. The eight string quartets and eight piano trios are all vying for one of the biggest prizes in chamber music – the Grand Prize of $30000 and a host of other career development opportunities. Musica Viva has taken over the running of MICMC, in conjunction with venue partners ANAM and Melbourne Recital Centre, and no doubt will be keen to put their stamp on this one. As I write this, 56 hopefuls are travelling from afar (apart from the Clarendon Trio who live right here). They have a few days to recover from their jetlag before Heat 1 on Sunday July 1st. 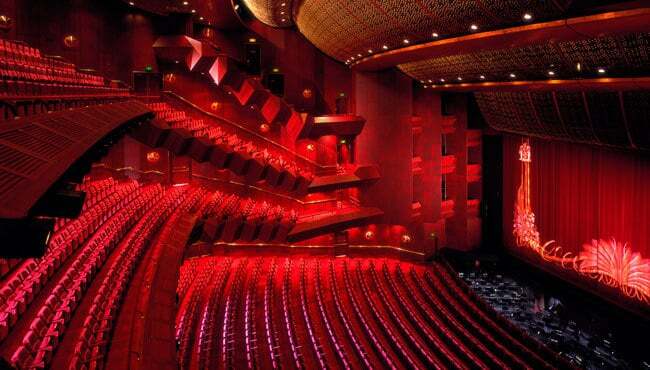 They will be nervous, stressed and tired, and will be adding some final polish in last minute rehearsals. MICMC was the vision of Marco van Pagee and Lin Bender, and cooked up in the living room of Musica Viva chamber music aficionado, Peter Burch AM. That was 1991. Since then, the standards and breadth of chamber music in this country have burgeoned. We’re spoilt for choice in this city. There’s no doubt that Melbourne is the chamber music capital of Australia (hey, let’s just round that up to the Southern Hemisphere). Any comparison to the World Cup Football should probably end now, as most of these ensembles are blended of different countries, reflective of the multicultural connections borne of overseas, particularly European, music study. Cellist Jonathan Bekes of the only all-Australian ensemble, the Clarendon Trio sums up this ethos, “Chamber music, in our opinion, is the ultimate fusion of the individual and the team.” We couldn’t agree more. Melbourne’s Brigid Coleridge, Australian member of a trio understands the buzz, and has been to many of the competitions as a young violinist studying in Melbourne. “Going to the competition and listening to it on the radio was very exciting and energising for me as a student. My younger self still can’t quite believe that I’ll be taking part this year!” We’ll be cheering you on. 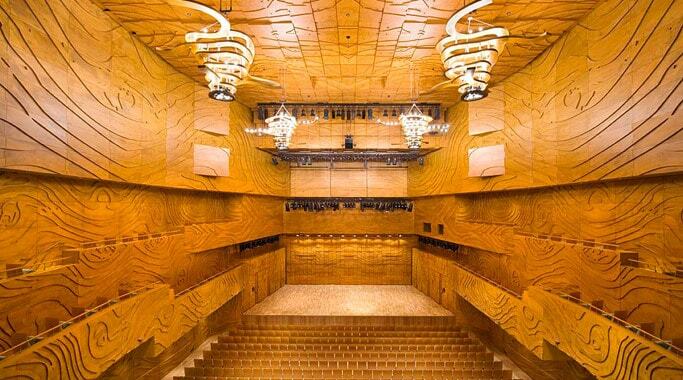 Despite the savage funding cuts to the public broadcaster, ABC 105.9 FM will present a live broadcast of the Semi Finals and Finals, both held in the glorious acoustic of the Melbourne Recital Centre. Melbourne’s local Fine Music station 3MBS 103.5FM will also broadcast the heats. As ever, there will be commentary and interviews between the heats, so stay tuned! Dutch/Belgian ensemble Mosa Trio gets the ball rolling this Sunday July 1st as they perform Haydn, Shostakovich and Portrait of Lightby Sam Wamper at 10am at ANAM’s South Melbourne Town Hall. There will be disappointments, but it seems that some of these groups are so young that they could enter again in 4 years time. If you miss out on the Heats and Semi-Finals, make your way on Saturday July 7th to the free Music In The City concerts LINK https://musicaviva.com.au/comp/music-city/ as the competitors share their style and substance with Melburnians in historic and contemporary city venues. Editor’s note: Çlassic Melbourne is of course committed to coverage of this landmark event for our great musical city. Central to this will be Josie’s reports as MICMC proceeds – watch this space. Josie’s blog 2: Measuring out my life in MICMCs. If T.S.. Eliot measured out his life in coffee spoons *, then perhaps I could measure out my life in MICMCs. I’ve been to every one either as a listener, competitor or volunteer host. Every four years chamber music-mad Melburnians congregate on South Melbourne Town Hall to get their fix of youthful string quartet and piano trio playing. This year the competition is under the calming umbrella of the world’s largest chamber music promoter, Musica Viva, lending over a century of status to this competition. It’s an expensive and complicated business, and we hope that this much-loved competition will be around for years to come. Round 1 has seen some excellent ensembles and exhilarating performances, and no doubt the 8-member jury chaired by MICMC Artistic Director Wilma Smith will have a tough decision on their hands later in the week. According to one Musica Viva worker, the jury is a “feisty” bunch. It’s always good to hear local ensembles holding their own, and Clarendon Trio’s Round 1 outing saw an energised performance of Stanhope’s Dolcissimo Uscignolo. Paul Stanhope has provided the commissioned piano trio work this year, titled Pulses, and so we’ll be hearing that 8 times in Round 2 – there are always fascinating comparisons to be drawn with the commissioned work, being so gloriously unfettered by years of recordings and accepted tradition. String Quartets will be playing Holly Harrison’s Balderdash(she draws her inspiration from the nonsense literature of Lewis Carroll). It’s also worth a second, or eighth, hearing if Idomeneo Quartets performance last night is indicative of the rest. Audience numbers have been fairly healthy this year, and heading into Round 2 we should see favourites emerge. I’ve enjoyed the trios in particular this year – Amatis Trio gave an inspiring Round 1 account of the Shostakovich Piano Trio, which can be a dangerously thorny work to present at competition. I suspect they may be one of the darlings of the competition after a foot-stamping reception last night in their Round 2 gutsy Mendelssohn D minor. The violinist, Lea Clara Hausmann is particularly engaging, her sound is warm and she manages an individual imprint on every phrase. As a volunteer host I’ve gotten to know the German / South Korean Trio Gaon and am looking forward to their Round 2 performance tonight of Brahms’ beautiful B major trio. Their Round 1 Beethoven was an emotional event, with a consistently generous and heartfelt approach. Individually they are stunning soloists too. It was great to hear two lesser known works with their Jean Francaix Trio and Corti’s Musica discrete. Without wanting to pin my hopes so early, I’ve also loved the performances of Mosa Trio and Trio Marvin – their Vasks Episodi e canto perpetuo was stunning, rhythmically complex ensemble playing. As far as quartets go, my overall impression is that they’re playing it safe, not wanting to put a foot wrong. Quatuor Agate grew in confidence in their Round 1 concert of Mozart , Clozel and Bartok, the final work in particular showing off their gallic grit with crisp and decisive articulation in a very enveloping acoustic. I’ve also enjoyed hearing the Gildas and Callisto Quartets, and the four young men of the Goldmund Quartett. They’ve been tutored for years by some of the world’s greats – Alban Berg Quartet’s Gerhard Schulz and Gunter Pichler, and earned glowing reviews in The Strad following the release of their debut Haydn CD on NAXOS. The metrics for judging music are hard, actually, impossible to define. For this listener it’s what transports you from your day to some other imagined place. An onstage synergy, working to interpret the dots on the page whilst remaining true to their own personalities is often the sign of the winning ensemble, or at least that lucky group to secure the Musica Viva prize. Head down to the South Melbourne Town Hall every day this week. There are still tickets left to the Round 2 heats and a precious few to the Semi-Finals on Friday when things should really be hotting up. We’re now at the pointy end of the Melbourne International Chamber Music Competition, and for this listener it’s a great pity to think it’ll all be over on Sunday night. We began the week with 16 ensembles, and as of Thursday evening we’re down to 10. Friday sees all semi-finalists performing a work by the teutonic greats, either Beethoven or Schubert. If you can still get a ticket, do so. The Finals on Sunday will see three quartets and three trios, each to perform a piece of their own choice in the Elisabeth Murdoch Hall of the Melbourne Recital Centre. By about 9pm the bubbly will be flowing and it’ll all be over for another four years. In Round 2 we were privy to some extraordinary interpretations from the 19th century chamber music canon. Trio Gaon’s Brahms Op.8 was extraordinary on every level, and the Amatis Trio had the audience in raptures after a blistering Mendelssohn D minor. We heard extremes of interpretation in the French quartet music – Ravel and Debussy featured large for the string quartets, although none in particular were glitch-free. Who would want that anyway? For me it’s the human qualities in this music that convinces. I’m looking forward to the Eliot Quartet’s Death and the Maidentoday at 2pm. A brave choice, but worth it if it comes off. New to every listener in Round 2 were the commissioned works from Australian composers Paul Stanhope and Holly Harrison. It’s a fascinating opportunity to hear different imaginations of the just dry dots on the page. This is at the heart of musicking, and the enjoyment it brings the listener as we hear the same work played with such freshness and at times, abandon. Holly Harrison’s Balderdash was exactly as intended, a lot of mad fun in the Lewis Carroll sense (from whose literature she draws inspiration), embracing musical absurdities in a digestible way. Germany’s Goldmund Quartett even removed their jackets and went black T-shirts to the amusement of the crowd. Paul Stanhope’s Pulses also revealed a multitude of techniques and places to trip up. His writing explored the pulses of frequency and rhythm, from pizzicati in the strings to chord patterns in the piano. Stanhope also gave the musicians a choose-your-own-ending option, writing two possible endings to bring an element of surprise to each performance. His skill cements him as one of the leading Australian composers. The audience has been as it is every MICMC – warm, opinionated and enthusiastic. You see the same faces, the chamber music lovers who are prepared to sit for hours upon hours, listening to the same piece multiple times. They wouldn’t miss it. I know how they feel. Concerts are at the South Melbourne Town Hall at 9.30am, 11.30am, 2pm, 4pm and 7.30pm. We interrupt Josie’s blog with an announcement from the MICMC organisers ..
“This evening, Musica Viva has the great privilege of announcing the Grand Finalists of the 2018 Melbourne International Chamber Music Competition. The six groups prevailed after 13 heated hours of Semi-Finals, which saw each ensemble add a Beethoven or Schubert work to the five pieces they’d performed so far. They will now brush up on a work of their choice that they haven’t yet played at MICMC before staking their claim on over $150,000 in prizes. For the rest of our coverage go to the MICMC story in our Concert Reviews section.